Last time I drew for you a unit circle of cotangent. 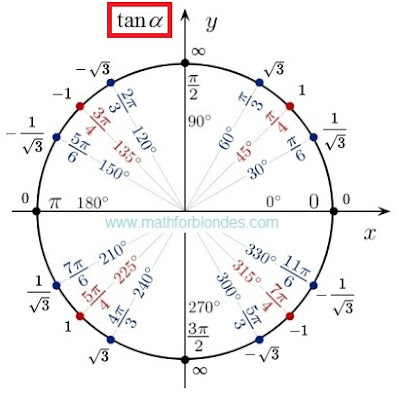 Now you can look at a trigonometrical circle of tangent. There is no sense here. There are angles and values of tangents. If you want to understand sense of a tangent and cotangent, look here.